The tricycle is a motorcycle with a sidecar. I’ve seen two-seat, four-seat, and six seat side cars. I’ve also seen more than six people piled in and hanging off a less-than-six-seat side car. 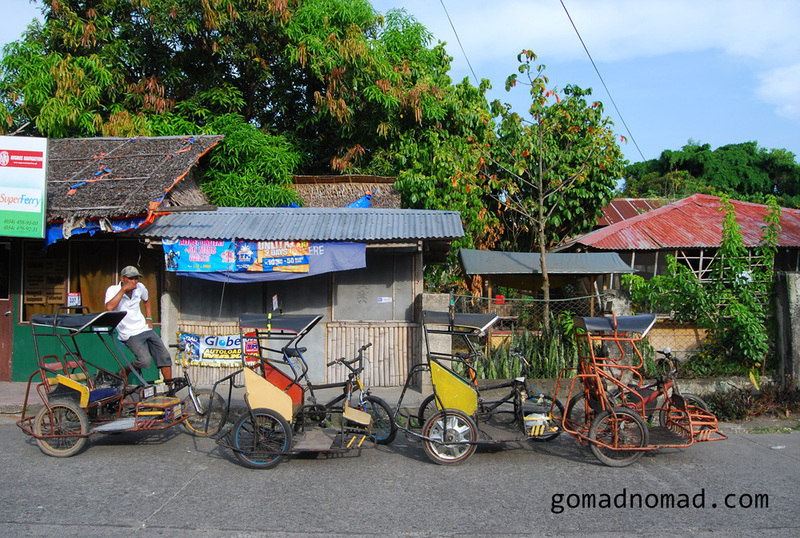 The tricycle is popular throughout the provinces of the Philippines. In some small towns and villages where there are no buses and cars, it’s all you’ll see. They are noisy and if shared, are quite cheap. I’ve paid 9 pesos (.25 US) in a shared tricycle from Sagay, 5 km down the road to Old Sagay. Sometimes they follow routes, but not always. The man-powered bicycle with attached side car is another popular form of local transport. You’ll mainly see this in the small towns and villages. The best part about the pedicab is that it’s green—no exhaust and no noise. After any amount of time in big-city Philippines, you will appreciate these two things. Icon of the Philippines: the Jeepney. The Jeepney is the ultimate Philippine form of transportation. 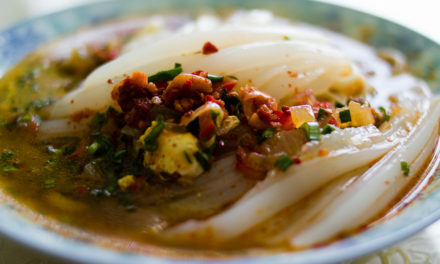 It is a national icon and one of the aspects of life that remain constant across this diverse, several-thousand-island archipelago. 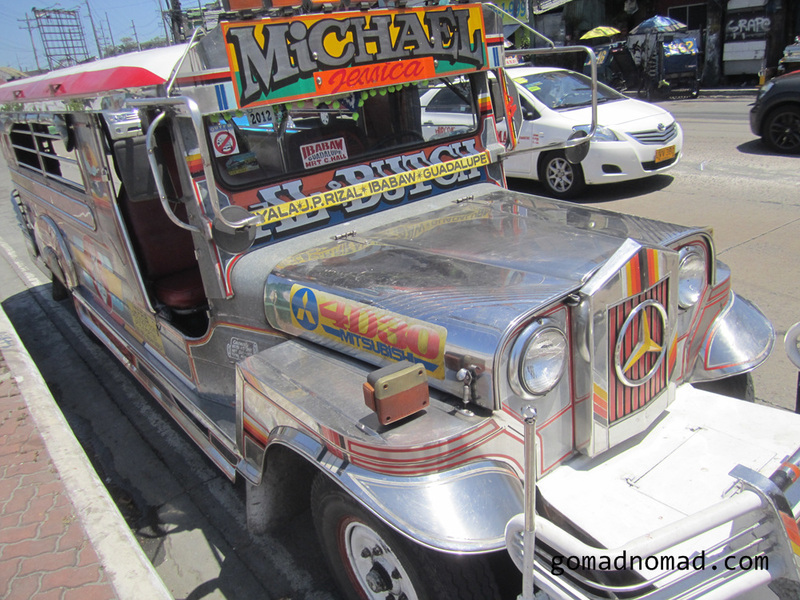 The jeepney is a sort of cross between a minibus and a share taxi. They were traditionally jury-rigged from jeeps and other vehicles that were left behind by the US military after WW II. Jeepneys are often times decked out with wild decals and graphics as diverse as cartoon characters to hilarious slogans to religious motifs. Jeepneys are a fun and necessary experience for the traveler, except, that is, when you’ve got on your big backpack. The ceilings are quite low which can make it hard to get in and out. Calesa is an enjoyable and old-fashioned way to get around town. 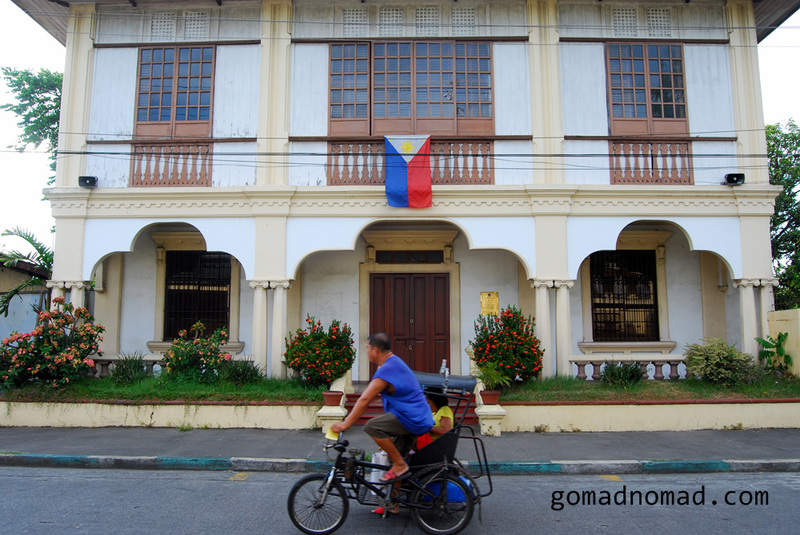 They aren’t in every town in the Philippines—I only saw them in Manila, Vigan, and a few other select towns in Luzon. 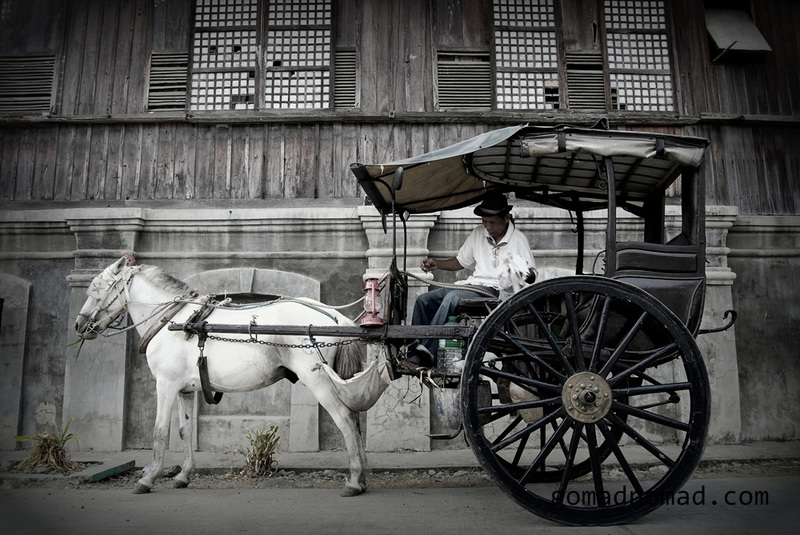 Calesa is a horse-drawn cart. They’re mostly used for tourists now, but no matter, it’s still a great throwback. 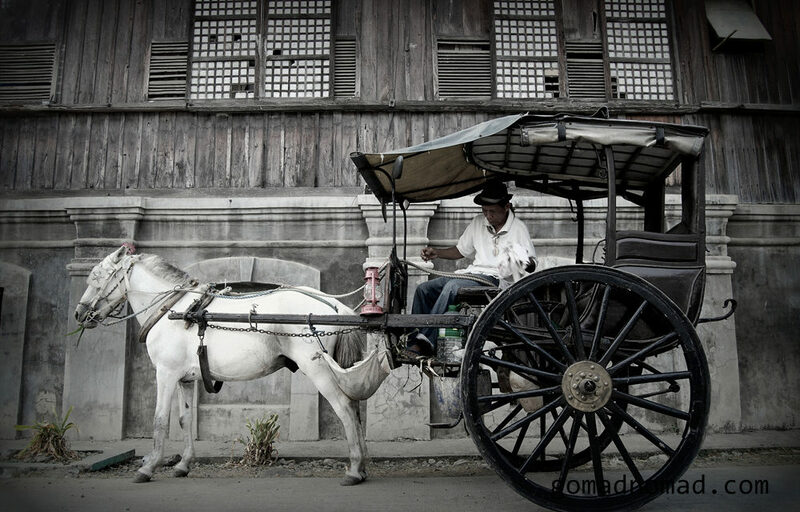 I hired a calesa for an hour-long tour around Vigan, a colonial city in the north. My preferred method of transport and the only truly reliable sort. Surprisingly, not many Filipinos walk places. 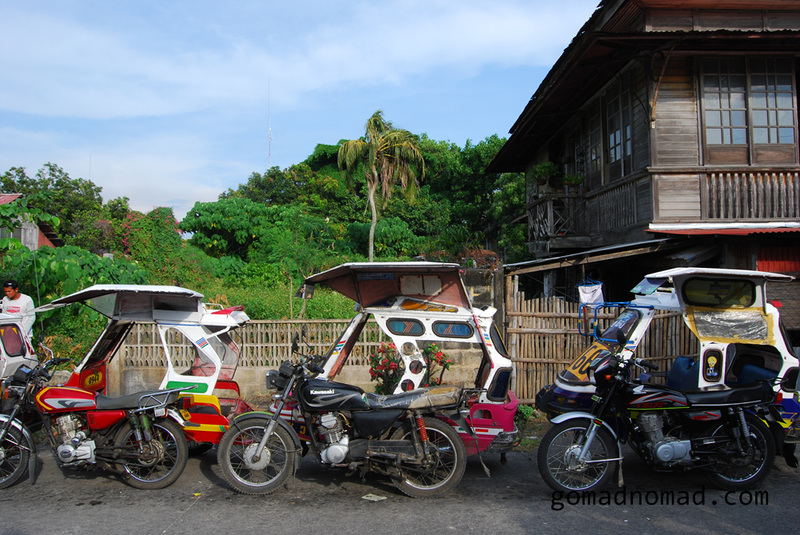 They usually opt for the pedicab or tricycle for a short journey. It’s hard to understand why, seeing that most people here don’t seem to have a lot of extra cash handy. 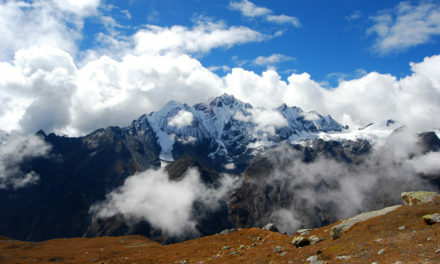 As a traveler, walking is the best way to get to know a new place. Lots of people greeted me on my walks, some even saying “hey Joe”, a leftover from the old days of World War II when there were lots of American GIs around. 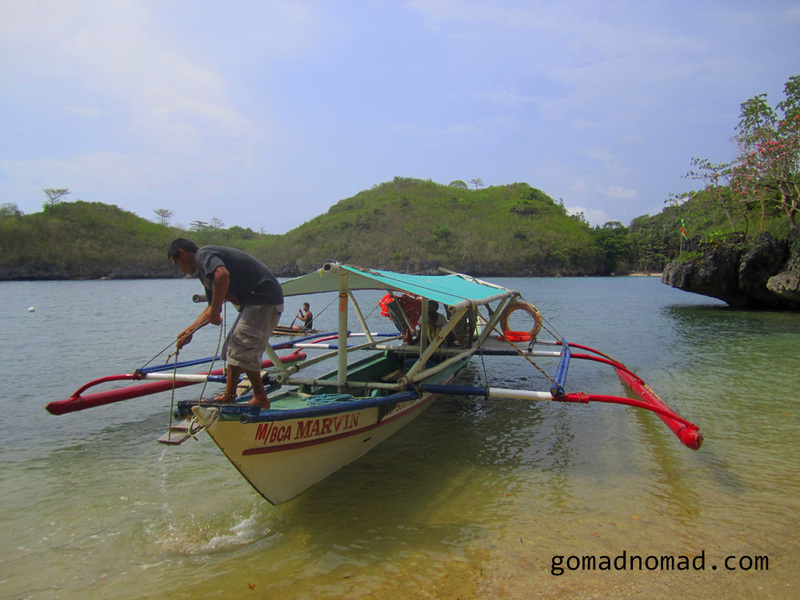 Banka is a common way to travel between the smaller islands in the Philippines. Bangkas and ferry boats are prevalent around the Philippines, but especially vital in the Visayas, where nearly every city has some kind of water transport service. Bangkas are wooden outrigger boats and a true trip to The Philippines wouldn’t be complete without one. Big ferry boats ply the long and heavily used routes, while bankas serve the smaller, shorter passages. 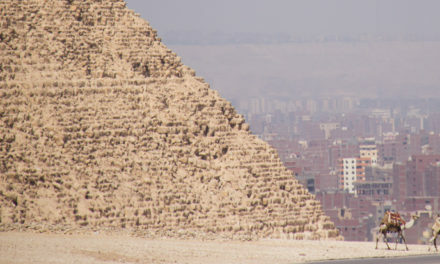 Although longer ferry services are now being reduced as budget airlines grow. Much like Indonesia, flying is becoming more commonplace due to the fact that The Philippines is spread out over thousands of islands and kilometers. Some budget airlines are Philippine Airlines, Airphill Express, Cebu Pacific, Zest Air, and Sea Air. Usually better rates can be obtained if ordered in advance and sometimes even really low fares will be offered. 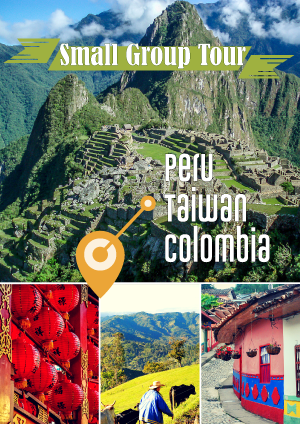 Remember, as eco-conscious travelers, to make an effort to use flights sparingly. Low and slow transport is usually greener.